I volunteered there every Tuesday and Thursday for about 2-3 hours each day. My main role was to do referral beds. Between 6:30-7:30 I would go downstairs from the Women's connect floor down to the street and look for the women who have been refereed to Portland Rescue Mission. There was anywhere from 6-10 women who were staying at the mission for the night. I would go downstairs every 15 minutes and bring them up if they were ready to. I would mark down what time they arrived. While I was waiting to go downstairs I would do odd jobs for the staff there. They are remodeling the office at the moment so one day I helped organized and sanded down the wall that they were in the process of painting. On Thursday's I will go about an hour early at 5pm and have dinner with the connect women. They have a house meeting at 6pm where they will sometimes play games. This last week they started reading a novel together called "The Gift of Imperfection" by Brene Brown. They discuss things like courage and trust. Chelsea one of the staff members will run a weekly meeting where they talk about values, how to trust, and read poetry. I will sit in on these meetings when I am done doing referral beds. I have thoroughly enjoyed my time here and the connections that I have made with these women. I hope that they can get the continued support they need through this website. 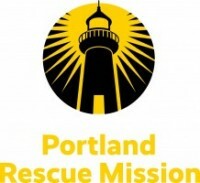 "Founded in 1949 by John Van Diest Sr., Portland Rescue Mission opened its doors as the “John 3:16 Mission.” From its earliest days of ministry, the words of that verse of salvation and hope have been at the heart and soul of our motivation for service: “For God so loved the world that He gave His only Son…” John Van Diest Sr. started humbly serving with the limited resources he had, purchasing groceries himself to make a pot of soup to share with hungry men. Afterwards, he would share with them about God’s love. 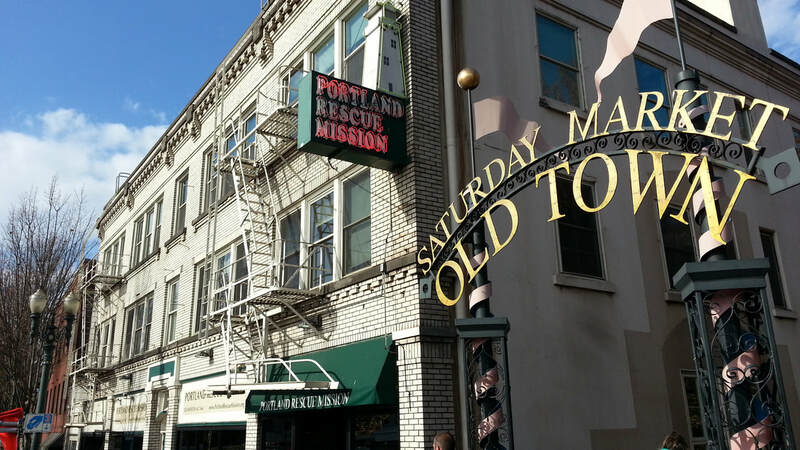 Since then, the Portland Rescue Mission has had a tireless commitment to breaking the cycle of homelessness, addiction and despair in the lives of hurting people in need." 3 month stay Daily shelter plus three meals a day A safe alcohol and drug-free community to live in while seeking permanent housing and employment Separate programs and living quarters for men and women. This experience has been very rewarding to me personally. Even though a lot of the time I didn't feel like I really made that big of an impact the experience left a huge impact on me. I have built connections with the women that I worked with that will change me forever. They have change my entire worldview and especially my view on what it means to be homeless. All of the women that I met through this program were extremely humble, willing to change, and were putting in the work required to achieve their goals. It helped take away the stigma that Homeless people "deserve" to be homeless or are "lazy" and don't want to work to change their lives. I know now that is not true or else none of these women would be in this program. The waiting list for the Connect program is long and there is always women who want to be involved. I think I got the most out of my volunteer work and was glad that I was able to help in the small ways that I could. My life is a bit up in the air at the moment not sure if or when I'll be able to go back but I hope that I can continue to be involved in the program.